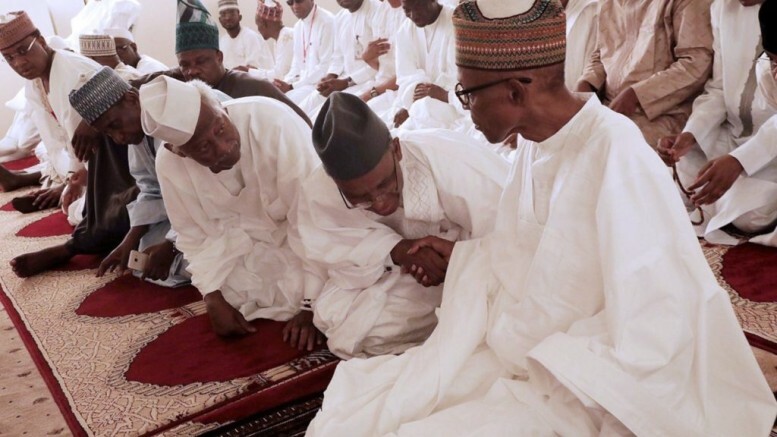 Govs Amosun, El-Rufai and others with President Buhari at the Juma'at prayers. 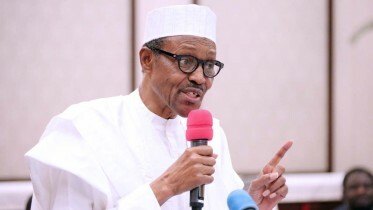 Popular columnist and convener of Every Nigerian Do Something, Perry Brimah, has said that President Muhammadu Buhari is “chronically ill” and in need of urgent rest. Brimah, in a statement on Friday, alleged that the President was being kept locked up in Aso Rock by some “selfish cabal” instead of receiving best therapy. The columnist flayed Nigerians for their uncompassionate reaction to Buhari’s health status despite seeing his “asthenic figure now no more than skin-and-bones as he sat down for the Jummah service” with Kaduna state governor Nasir el-Rufai last Friday. He wrote, “There can be no denying how chronically ill president Muhammadu Buhari looks when he seldom does appear in public. The last time was last week Friday when Kaduna state governor Nasir el-Rufai came visiting. “For those of us in the medical profession, we recognise the president’s loss of hair on his head and facial hair as well as his reported blood transfusions as possible evidence of cancer chemotherapy. “God forbid, however, if this is the condition the president is being managed for that the cabal is hiding from the people, the wickedness of the selfish cabal that forces him to remain locked up, “dying” in Aso Rock instead of receiving best therapy, should be vehemently opposed by us masses. Be the first to comment on "Buhari Chronically Ill – Perry Brimah"